The coalition led by Modi’s Hindu nationalist Bharatiya Janata Party (BJP) is expected to win 273 of the 543 parliament seats at stake, one more than the halfway mark required to rule. In the last election the alliance won more than 330 seats - the biggest mandate in three decades. Most of the polling agencies that released surveys in the last four days said Modi got a boost from recent tension with arch enemy Pakistan after a militant group based there killed 40 Indian paramilitary troops in the disputed region of Kashmir in February. “In today’s India we have seen perhaps for the first-time security issues competing with, and outdoing, a bread and butter issue like unemployment,” CVoter said in a statement. 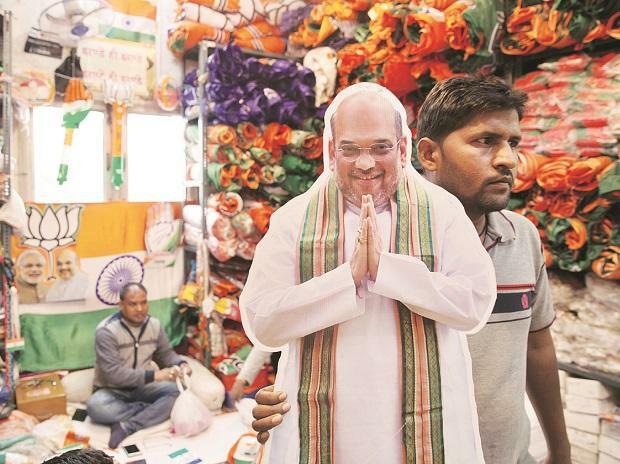 “Primarily, the BJP has been unable to sufficiently distinguish itself from Congress when it comes to making people feel the difference in terms of their livelihoods and economic interests. The main opposition Congress and its allies are expected to more than double their seats to about 141 on average. Pre-election opinion polls in India, with thousands of respondents, have proved unreliable several times in the past in a vast country of about 1.3 billion people, of whom about 900 million are eligible to vote. Congress has accused the BJP of using retaliatory air strikes on Pakistan as a political tool and has instead highlighted job creation, tackling farm distress and empowerment of women, among its top priorities. Modi has said he will retain power with a bigger mandate than before, while Congress says its plan for annual handouts of 72,000 rupees ($1,034) to the poorest families will help fuel its comeback. The election will be held in seven phases and votes will be counted on May 23, with results likely to be clear the same day.